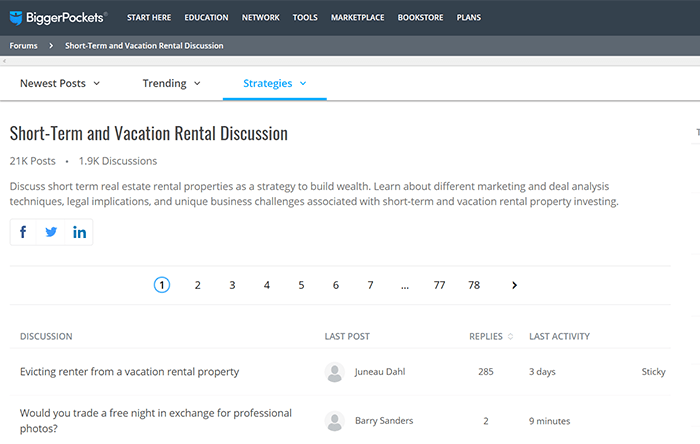 An active vacation rental forum is a marketplace for top tips that will help you to take your vacation rental business to new heights. In addition, it can also be a safe space to blow off steam about a needy guest or booking that went horribly wrong. The following are six rental property forums that offer a daily dose of dos and don’ts. 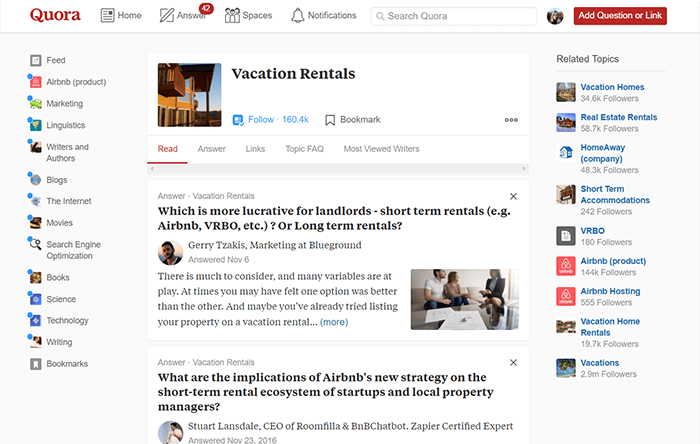 If you do not want your vacation rental business to plunge into the red, Reddit is a must-read vacation rental forum. As it is one of the largest discussion platforms, you are bound to find a wealth of best practices and tips. Start by following the Airbnb subreddit where other hosts regularly share their experiences. There are also other subreddits that might not deal directly with Airbnb rentals, but offer tips about topics such as decorating that will help you to become a better host. 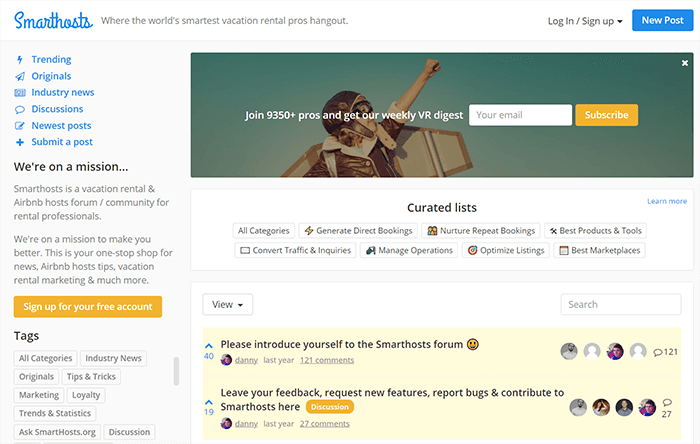 Although the Smarthosts vacation rental forum is not as active as Reddit, it still has a lot of worthwhile content for hosts, managers and rental owners. Here you can read more about the latest news, tips for hosts and ideas to market your vacation rental property. It has a couple of curated lists covering topics such as best products and tools with informative posts that are ordered according to the number of upvotes it has received for easy navigation. What makes the Community with Airbnb vacation rental forum so great is that it is available in more than five different languages. 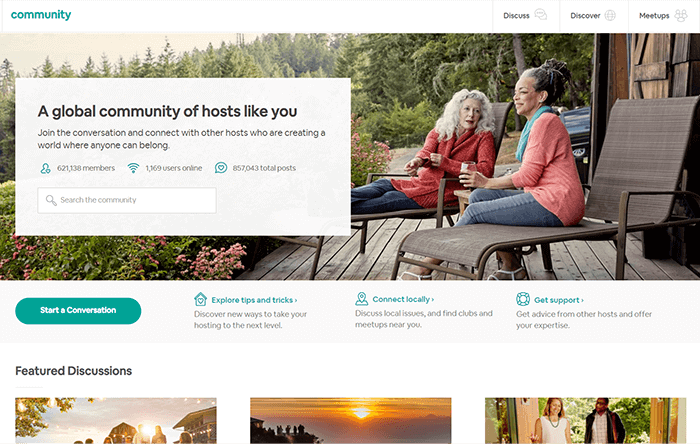 What is more, close to one million hosts have already joined this Airbnb host forum! Here hosts can connect with fellow hosts by taking part in one of the discussion rooms or even attend an informal gathering in their area where they can chat about local issues. Boasting more than 10 000 users and 200 000 posts, Airhostsforum is, without doubt, a great resource. It is not linked to Airbnb whatsoever and is simply a forum where different hosts from across the world can sign up to and share advice. Hosts will also be glad to know that it is one of the most spam-free vacation rental forums. This real estate forum really does get down to business. Here owners of vacation rental businesses can exchange views on crucial aspects like creative marketing strategies and legal matters. It also has a separate Marketplace Forum where ads and other promotional posts can be shared which means that you will not be bombarded with solicitations. Some of the other forums on BiggerPockets include Real Estate Technology and the Internet and Investor Basics. Quora has made it their mission to connect those who are knowledgeable about a certain topic to those who wish to learn more. From cute celebrity couples to Cajun cooking, you will find answers to virtually any question. All you have to do is create your Quora account and search for your topic. Alternatively, if you need an answer to a specific question that has not been asked yet, simply add a new question and someone will answer your question. At the end of the day, hosting might not always be a bed of roses (at least figuratively speaking), but by joining the right vacation rental forum you will at least never feel as if you are the only who makes mistakes from time to time. In addition to the camaraderie, an Airbnb forum is the ideal place to learn a couple of top tips and identify the most common Airbnb business challenges (something which is key for Airbnb consulting businesses and hosts alike). After all, we all begin as fools and only become wise through experience. So, why not take a leaf out of a fellow host’s (guest) book?